Sponsoring a Child is a really special experience that is not only life changing for the child but also for the person sponsoring that child. 1. When you sponsor a child you sponsor a family and community! Your monthly sponsorship does not only help the child you are directly sponsoring. It also impacts the parent/ guardian that cannot afford to send them to school or cannot spare money for medical fees by relieving the financial pressure. Not only this but when your sponsored child finishes his/hers education and is trained to work they will help provide for other siblings and family members in need. 2. You get to know a new part of the World. As part of your sponsorship you will have the opportunity to send and receive letters from your sponsored child twice a year. This helps you experience places you’ve never visited before whilst learning about who your sponsored child is. Some of our sponsors have even travelled out to meet the Children they sponsor! 3.When we give to others it gives us JOY! In the Bible it tells us to give JOYFULLY. (2 Corinthians 9:6-7) and our bodies are designed to be really joyful about giving to others. When we give to others we get a rush of OXYTOCIN which is a powerful brain chemical that makes us feel warmth to one another! 4. It’s an affordable way to make an Impact. For the cost of a bottle of wine per week or a couple of coffees on the way to work you can change a families life. Sponsorship costs as little as 80p a day and it makes a huge impact. 5.You are directly fighting against Poverty. Due to the nature of sponsorship you are having a direct impact on poverty. If you sponsor one child and they complete their education, you empower and equip them to change the world. Given the right opportunities who knows what difference one child can make when given the platform to do so? 6.You can see exactly what your money is being spent on! When we work so hard to earn our money it is so important to see exactly where it is going. When you sponsor a child you get 2 updates a year from your child in the format of letters, pictures, videos and school reports. This shows you what your money is being spent on and what impact it is making. 7.You are saving a Life! 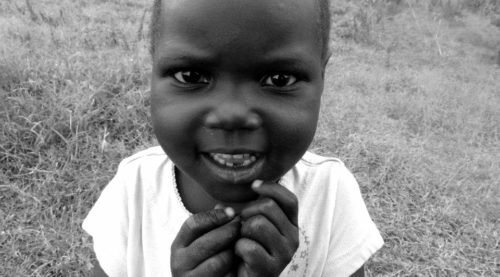 Many of the children on the Seeds Of Hope Uganda sponsorship scheme do not have access to basic medical care because it is so expensive for them. As a part of your sponsorship fee all sponsored children’s medical fees are taken care of. This means if your sponsored child contracts malaria (which many will do) , they will receive medication to treat the malaria to prevent it from being fatal. Child Sponsorship is such an effective way to change lives one life at a time. 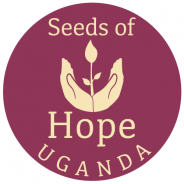 For more information about sponsoring a child of your own please visit our website www.seedsofhopeuganda.com or email us at seedsofhopeuganda@gmail.com we would love to hear from you!